This exquisite camisole is made from a stunning combination of ivory silk and lace. 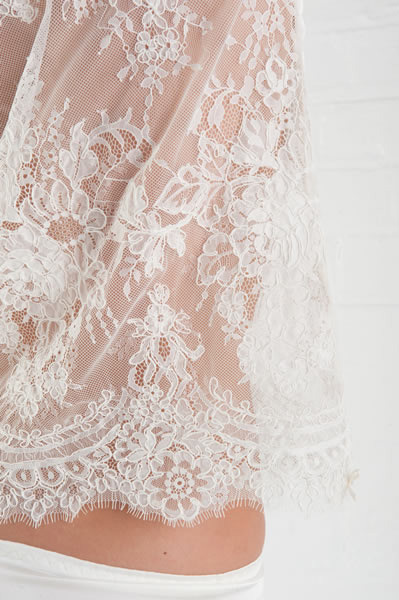 The lace is light with a floral design and given a depth with a luxurious cording, the galloon edge of the lace finishes the edge of the camisole. Highlighted with hand tied satin ivory bows and Swarovski crystals. Gift wrap this item for £ 5.00?